Israeli soldiers attacked, Friday, a nonviolent procession in Qalqas village, east of the southern West Bank city of Hebron, and detained many journalists. Aref Jaber, an activist against Israeli colonies, said the soldiers resorted to the excessive use of force against the nonviolent protesters, and fired several gas bombs at them, causing many to suffer the effects of teargas inhalation. Jaber added that the soldiers detained many Palestinians, including journalists, after preventing media outlets from entering the area. It is worth mentioning that Qalqas road remains blockaded for the seventeenth consecutive year, an issue that compounded the suffering of the residents of that area, forcing them to take longer, largely unpaved routs. The Israeli Occupation Forces (IOF) abducted overnight two Palestinian youths, in suspicious circumstances, after allegedly being involved in killing an Israeli settler in Kafer Qasim town few days ago. The two youngsters Yousef Khaled Kamil and Mohammad Ziad Abu ar-Rob were kidnapped in an ambush set by Israeli Special Forces shortly after their release from PA detention center, informed sources told PIC reporter. A Palestinian boy was also shot and injured during the incident, the sources added. According to the reports, the two detainees had earlier handed themselves into PA forces, demanding their protection after being chased by IOF. However, PA security forces released them yesterday evening in an open area near Jenin to be shortly arrested by Israeli Special Forces. Following their release, the teen Adham Abu Kharaj accompanied them to show them the roads they should take. Suddenly, Israeli forces surrounded the area and shot the teen before taking the two others to unknown place. The two abducted Palestinians work in Kafr Qasim town, within the Green Line. Israeli security sources claimed that an Israeli man, identified as Reuven Schmerling, 69 was killed in the town, on Wednesday, in an area where the two detained Palestinians worked. Israeli authorities decided to summon an elementary school principal in the city of Umm al-Fahm in 1948 Occupied Palestine after the school began the current academic year with songs praising the State of Palestine. The lyrics included the phrase: "We are Palestinians and the capital of Palestine is Jerusalem." Local sources in Umm al-Fahm reported that the Israeli extremist Im Tirtzu Movement sent a video tape to the Education Ministry and to Education Minister Naftali Bennett. It was decided to summon the principal for a hearing, and then to decide whether to take any disciplinary steps against her. Senior Education Ministry officials spoke with the principal over the phone. The principal stated that she had been unaware of the plans to play the song. Nevertheless, the Education Ministry decided to summon her to a hearing in the coming days. Political activists opined that summoning the school principal goes in line with Israeli political prosecution and incitement against the Palestinian community in Umm al-Fahm and other cities in 1948 Palestine. Israeli courts issued in September harsh sentences against 27 Palestinian children being held in Ofer prison, rights sources revealed. A rights group working with prisoners and ex-prisoners said that 35 Palestinian minors were rounded up and detained in Ofer prison over the past month, 18 of them were detained from their family houses, 11 from their cities’ roads, and four others at military checkpoints. Another minor was arrested after being summoned for investigation, while another was arrested after entering Israel without permit. 27 child prisoners were sentenced, during the same reported period, for different periods of time ranging between one and 26 months, the sources underlined. Two of them were shot and injured during their arrest, while 20 received severe beating in Israeli detention and investigation centers. In addition to imprisonment, the Israeli courts imposed heavy fines on Palestinian children totaling 78,000 Israeli shekels in September alone. 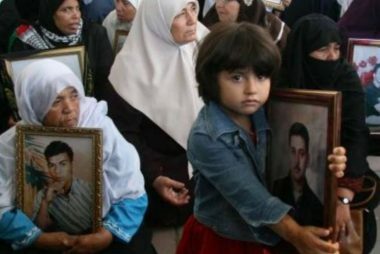 The committee warned that Palestinian minors caught up in Israel's military judicial system are described as enduring systematic abuse including physical and verbal assault, denying parental visitations, handing down harsh prison sentences and pressuring guilty confessions during violent, closed-door interrogation sessions. 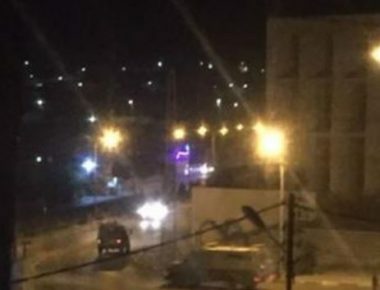 Palestinian medical sources have reported, Friday, that Israeli soldiers shot and injured at least twelve Palestinians, and abducted two others, after the army invaded Um ash-Sharayet neighborhood, south of al-Biereh city, in central West Bank. Media sources said that invasion was concentrated in Abu Kweik street, in Um ash-Sharayet, where the soldiers invaded and ransacked residential buildings. The soldiers then clashed with many Palestinians, and fired dozens of live rounds, rubber-coated steel bullets and gas bombs. Local medics rushed to the area of clashes and provided the needed treatment to twelve wounded Palestinians, and dozens who suffered the effects of teargas inhalation. Several Palestinians were left injured at noontime Friday after the Israeli occupation forces (IOF) stormed the central West Bank province of Ramallah. 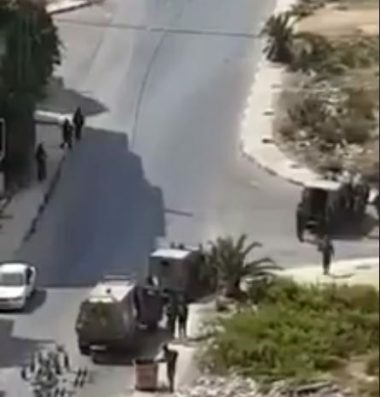 Israeli army troops broke into Umm al-Sharayet neighborhood, in Ramallah, and attacked Palestinian anti-occupation protesters with randomly-shot spates of bullet fire and teargas canisters. The Palestine Red Crescent Society said it transferred two protesters to Ramallah hospitals so as to be treated for rubber-bullet wounds. At least 10 other protesters received field treatment. Dozens more choked on teargas. According to eye-witnesses, the IOF kidnapped two Palestinians following a round of home break-ins in Abu Kweik Street, in the area. 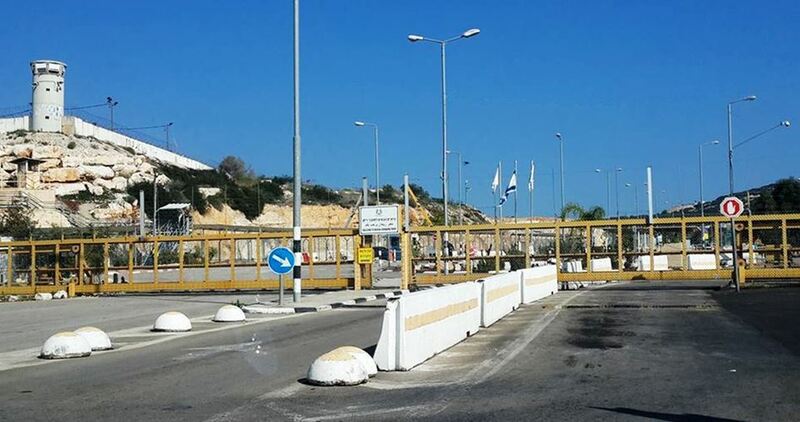 Sometime earlier, the occupation forces closed off the main access roads between Ramallah and Nablus along with the Zaatara checkpoint to secure a marathon staged by Israeli settlers. Palestinian civilians and drivers have been denied access out of and into their homes and workplaces as a result of the abrupt closure. The Israeli army said the cordon is to be kept until noontime. Israeli jeeps, police troops, and military patrols also showed up at the scene to protect the contestants. 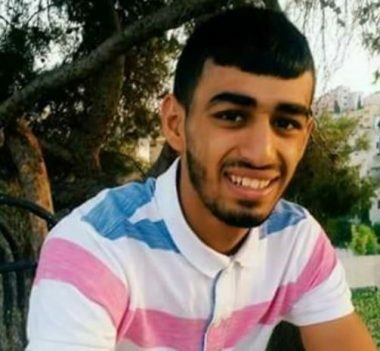 Meanwhile, Palestinian youth Aboud Harzallah was kidnapped by the Israeli soldiers from his family home in Jenin’s southwestern town of Yabad. The IOF further attacked a peaceful march calling for unblocking the main road to Khirbet Qelqes, south of al-Khalil province. A number of demonstrators sustained breathing disorders due to heavy teargas inhalation. The marchers chanted slogans denouncing Israel’s infringement of Palestinians’ freedom of movement, which they said led to the death of a number of civilians as they were forced to pass through unsafe bypass roads due to the Israeli closures. The occupation forces also came down heavily on press officers as they attempted to cover the event and detained a number of protesters. A number of cameramen, photojournalists and activists choked on teargas. Moments later, the IOF declared the area a closed military zone. 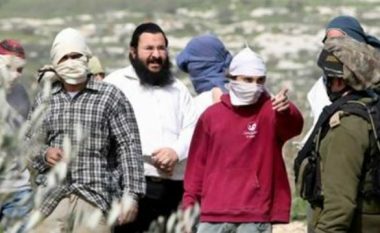 The IOF systematically attacks the peaceful marches and rallies staged on a weekly basis near Beit Hagai illegal settlement outpost, south of al-Khalil. Khirbet Qelqes has been isolated from its environs by Israel’s Bypass Road 60, leading to Israeli settlements south of al-Khalil. In 2000, the IOF sealed off the main entrance to Qelqes with sand barriers, severing its ties with the neighboring Palestinian towns and villages. Israeli soldiers invaded, on Friday at dawn, Qabatia town, south of the northern West Bank city of Jenin, before breaking into and ransacking the family homes of two detainees, causing excessive damage, leading to clashes between the soldiers and local youngsters, causing dozens of Palestinians to suffer the effects of teargas inhalation. 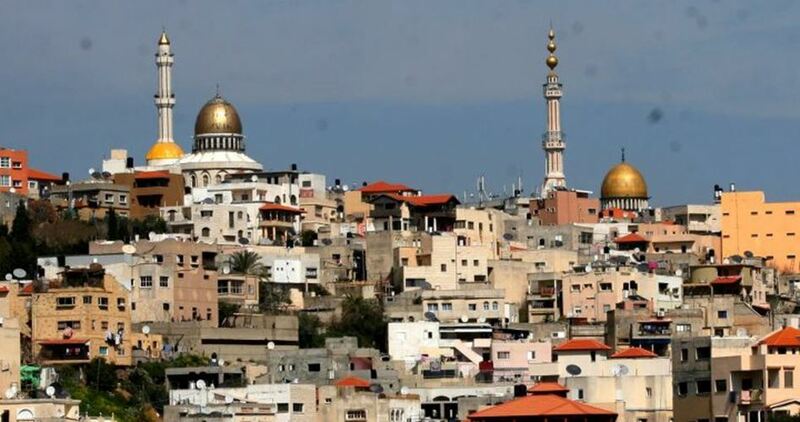 Media sources in Jenin said the soldiers invaded the homes of Yousef Khaled Kamil, and Mohammad Ziad Abu ar-Rob, took pictures of the properties’ exterior and interior, and violently searched the homes, leading to serious property damage. The sources added that the soldiers interrogated the two families, and threatened to keep invading their homes and imposing punitive measures against them. It is worth mentioning that the two Palestinians were abducted by undercover Israeli soldiers, on Thursday evening, near Jenin. 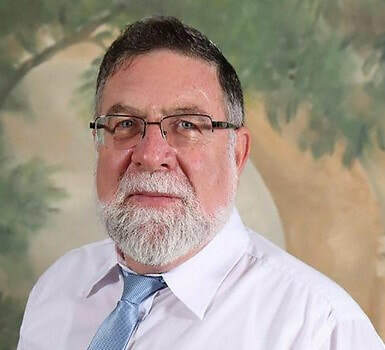 The two abducted residents work in Kafr Qasim Palestinian town, east of Tel Aviv; Israeli security sources said an Israeli man, identified as Reuven Schmerling, 69 was killed in the town, on Wednesday, in an area where the two detained Palestinians worked. It is worth mentioning that the Israeli Shin Bet security agency and the police, are investigating the incident amid a court-imposed gag order. The mayor of Kafr Qassim said the city is inflamed in a gang war while the police are not doing enough to intervene. Following the invasion into Qabatia, many youngsters hurled stones at the military jeeps, while the soldiers fired live round, gas bombs and concussion grenades, at the protesters and many surrounding homes. The Palestinian Civil Defense in Jenin said dozens of residents received treatment for the severe effects of teargas inhalation. Similar clashes took place near the Shuahada village junction, which leads to Jenin city in addition to the towns of Qabatia and Burqin. Many Palestinians were injured, and some were rushed to the Jenin governmental hospital for further treatment. Israeli military drones have been frequently seen hovering over Jenin and Qabatia, over the past two days, amidst extensive army deployment. Also at dawn, several army jeeps invaded Ya’bad town, southwest of Jenin, searched homes and abducted Abboud Herzallah. Palestinian medical sources have reported that a young man was seriously injured, earlier Friday, after Israeli colonists hurled stone at his car, while driving on the main Nablus-Ramallah road, in the occupied West Bank. The sources said the young man, Mahmoud Mohammad Jarar’a, 26, from ‘Aseera ash-Shemaleyya town, near the northern West Bank city of Nablus, suffered skull fractures, in addition to various cuts and bruises. The Palestinian was rushed to the Istishari Hospital, in Ramallah, and his wounds were described as serious. Eyewitnesses said the colonists came from the illegal Shilo colony, which was built on Palestinian lands, southeast of Nablus and northeast of Ramallah. The illegally confiscated lands are owned by Palestinians from the villages and towns of Qaryout, al-Mohgheer, Khirbit Abu Falah and Turmus Ayya. On Friday at dawn, a large military force invaded Beit Fajjar town, south of Bethlehem, and violently searched several homes, causing damage. The soldiers also detained a young man, identified as Mashoor Shaher Deeriyya, and interrogated him in one of their jeeps for several hours before releasing him. Israeli soldiers invaded, on Thursday evening, Nabi Saleh village, north of the central West Bank city of Ramallah, stopped a bus filled with Palestinians heading to a wedding hall, and abducted six young men. The soldiers stopped the bus, and many Palestinian cars, at the military roadblock on the main entrance of the village, and searched them. The soldiers also examined the ID cards of dozens of young men, and abducted six, before taking them to an unknown destination. Researcher Riyad al-Ashqar said the soldiers, and navy, have abducted seven fishermen close to the shore in the Gaza Strip, in addition to abducting Ramzi ‘Abed, who teaches at the Islamic University in Gaza, when he tried to cross Erez Terminal on his way to a conference in Italy. In addition, the soldiers abducted a patient, identified as Fadel Mazen Abu Haseera, 27, also at Eretz Terminal, as he was in his way to receive treatment in the al-Makassed hospital, in Jerusalem, even though Israel granted him an entry permit. Three more Palestinians were abducted by the soldiers while trying to breach the border fence, in the eastern part of the Gaza Strip, in search for work in Israel due to extreme poverty rates in the besieged coastal region. 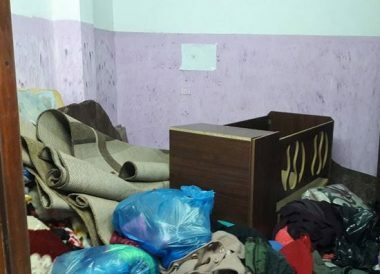 In the West Bank, the soldiers invaded the home of legislator Abdul-Rahman Zaiden, in Deir al-Ghusun village, near the northern West Bank city of Tulkarem, and ransacked it for several hours. The legislator was interrogated for several hours at a military base, before the soldiers eventually released him. 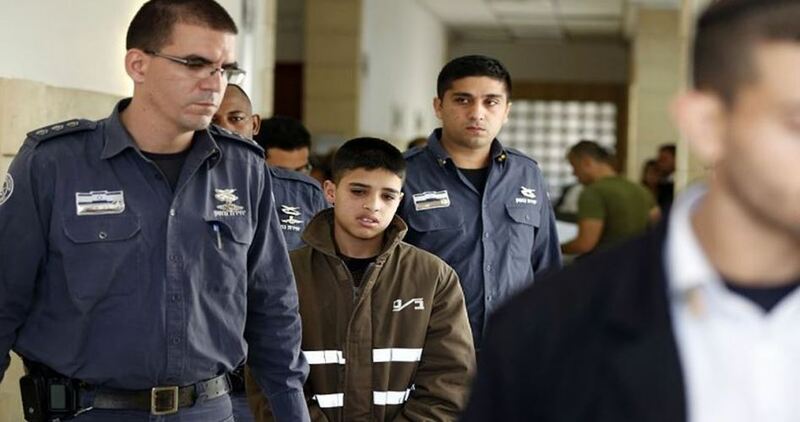 Al-Ashqar added that September also witnessed a serious escalation in the abduction of women and children, as the army detained 55 children, including Mohammad as-Sa’ou, only 10 years of age, who was taken prisoner from his home, in Sheikh Jarrah neighborhood, in occupied East Jerusalem. The soldiers also abducted eight women, including a child identified as Sally Mohammad Shawwa, 14 years of age, from Jerusalem, and released her later after imposing a high fine. In addition, the soldiers abducted three girls, identified as We’am Hamada, Hadeel Sob Laban and Hiba al-Joulani, from Jerusalem, and released them later under the condition of not entering the Old City and the Al-Aqsa Mosque, for fifteen days. Al-Ashqar added that the army also issued 100 arbitrary Administrative Detention orders, holding the detainees captive without charges or trial. 33 of these orders were issued against the detainees for the first time, and 67 others were renewals of existing orders. The Administrative Detention orders that were issued in September vary between two and six months, and one of these orders was against Professor Essam Al-Ashqar of the Najah National University in Nablus. The army also escalated its violations against the detainees, including repeated invasions and violent searches of their rooms, arbitrary transfers to various prisons, in addition to forcing many detainees into solitary confinement. 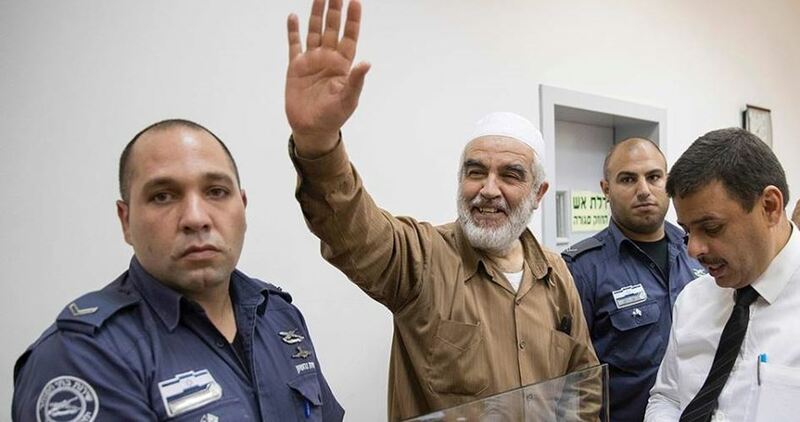 Sheikh Raed Salah, Head of the Islamic Movement in 1948 Occupied Palestine, said from Israeli jail that he will remain loyal to the Islamic and Palestinian constants despite hard detention conditions. Lawyer Khaled Zabarqa who visited Sheikh Salah in Ramon desert jail in the Negev on Tuesday, said that Salah is in good health despite being held under tough detention conditions in solitary confinement cells. Israeli Prison Service does not allow him to see anybody and has not brought him the books he asked for yet, which makes detention conditions even worse, he said to his lawyer. Sheikh Salah hailed all those who support him and asserted that the charges brought against him were fabricated and that was very obvious during the last court hearing held on September 27. Sheikh Salah has been detained after charging him with incitement to terrorism and affiliation to the Israeli-banned Islamic Movement. The son of the Palestinian prisoner Mohamed al-Tous, held for 33 years running in Israeli jails, has launched a cry for help, saying he has been feeling lonely without his father by his side. 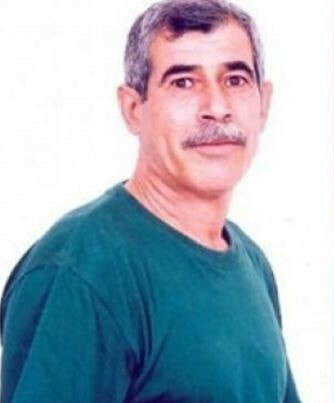 According to the Palestinian Prisoners Center for Studies, al-Tous, a native of al-Khalil’s town of Jaba’a, is the longest serving Palestinian detainee in the occupied West Bank and the third in Palestine. Life-sentenced al-Tous has been jailed since October 6, 1985 after the Israeli authorities charged him with carrying out anti-occupation operations. He is the sole survivor of a bloody attack by the Israeli occupation forces near the Jordanian borders in 1985 against a Palestinian commando unit. At the time, al-Tous was injured and arrested. His son Shadi said that the family has gone through hard times due to the absence of their father. Shadi expressed hope that his father would be released in a new prisoner swap deal with the Israeli occupation. The Israeli Occupation Forces (IOF) arrested a Palestinian young man on Thursday after closing the entrance to Al-Karantina neighborhood linking between the northern and southern parts of al-Khalil city south of West Bank. Local residents were prevented from leaving or entering the neighborhood, the PIC reporter said. The Israeli military restrictions came shortly after clashes broke out between local youths and Israeli forces in the area. A 24-year-old youngster was arrested during the events. 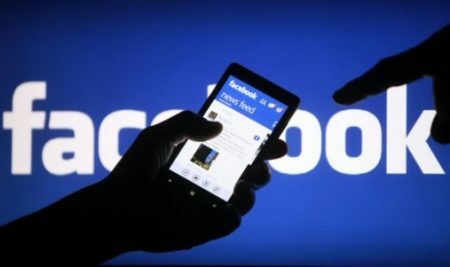 Israeli law enforcement agencies are not revealing to detainees which of their social media posts led to the issuance of a warrant for their arrest and their subsequent detention, a press release said on Wednesday. This practice is being employed disproportionally against Palestinian citizens of Israel and seriously impairs their ability to defend themselves, Adalah – The Legal Center for Arab Minority Rights, said in the release. WAFA reports that Adalah sent a letter on September 11 calling on Israeli Attorney General Avichai Mandelblit and State Attorney Shai Nitzan to order Israeli police to disclose to suspects and their lawyers during pre-trial detention hearings the content of the social media posts that allegedly constitute a criminal offense, such as incitement and other crimes of expression. Adalah Attorney Fady Khoury wrote in the letter that this policy severely harms suspects’ rights. “This problematic practice essentially turns an initial arrest into a full-fledged administrative detention. It is not just that the evidentiary materials collected by police are kept from detainees and their lawyers, but that the [social media] content for which the arrest was carried out is left undefined,” he wrote. Adalah’s letter included numerous examples of arrests of Palestinian citizens of Israel carried out for alleged crimes of expression, during the course of which the statements that formed the very grounds for the arrests were kept classified. For example, Razi Nabulsi, a Palestinian Arab citizen of Israel, was arrested on suspicion of “publishing a statement in support of a terrorist organization”, but Israeli police maintained a ban on release of Nabulsi’s statement that formed the basis for his arrest for the entire duration of his seven-day detention. The vast majority of arrests made in Israel in 2015 and the first half of 2016 for charges related to alleged incitement on social media outlets were of Palestinian citizens. According to Israeli police statistics, 82 percent of individuals arrested for incitement-related offenses in 2016 were Palestinian citizens, whereas only 18 percent were Jewish Israeli citizens. Statistics for 2015 are similar: 81 percent of those arrested for incitement-related violations were Palestinian citizens and 19 percent were Jewish Israeli. In 2015, 43 people were charged with incitement-related offenses, 40 Palestinian citizens and three Jewish citizens (seven percent). Israeli soldiers invaded, on Wednesday at dawn, the towns of al-‘Eesawiyya, Hizma and Silwan, in occupied East Jerusalem, searched homes and abducted two Palestinians. 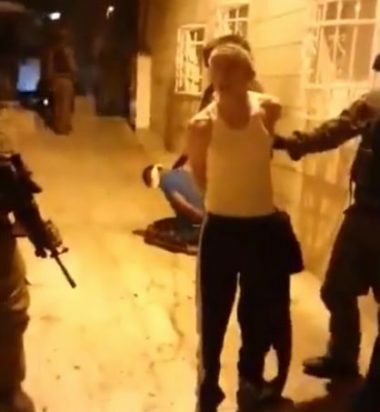 The soldiers invaded and searched homes in ‘Obeid neighborhood, in the al-Eesawiyya town, in the center of Jerusalem, and interrogated several Palestinians, the Palestinian Prisoners’ Society (PPS) said. The PPS added that the soldiers also invaded homes in Hizma town, northeast of Jerusalem, and abducted Kifah Saleh Khatib. In addition, the army invaded Wadi ar-Rababa neighborhood, in Silwan town, south of the Al-Aqsa Mosque, and abducted Luay Sami Rajabi, 22, while he was walking in the neighborhood. The soldiers also installed roadblocks at the main entrances of Silwan and al-‘Eesawiyya, before stopping and searching dozens of residents and cars. Israeli soldiers abducted, on Wednesday at dawn, six Palestinians, including four in of the southern West Bank governorate of Hebron, summoned one Palestinian for interrogation and confiscated large sums of cash. 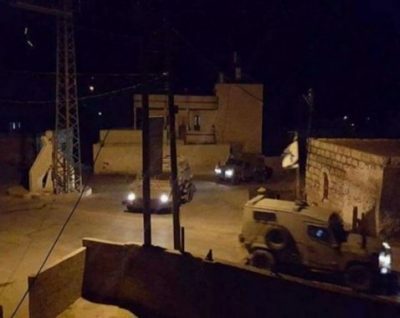 The Hebron office of the Palestinian Prisoners’ Society (PPS) said dozens of soldiers invaded and violently searched homes in Yatta and the ath-Thaheriyya towns, and abducted four Palestinians. It added that the soldiers confiscated a digger machine, owned by Mohammad Roumi, in Yatta town, south of Hebron, and abducted his sons, Khaled and Fasial. The soldiers also abducted Mahmoud Bassam Allan and Anas Awaysa, from their homes in the ath-Thaheriyya town, south of Hebron. Furthermore, the soldiers invaded many homes in Beit Ummar town, north of Hebron, causing excessive property damage, and confiscated 10.000 Shekels from the home of Ibrahim Abdul-Hamid Abu Mariya, and 1540 Shekels from the home of Maher Odah Sabarna, before summoning them both for interrogation. The soldiers also invaded the home of Ali Ayyad Awad, and confiscated his surveillance equipment. The army invaded and ransacked many homes in the town, including homes owned by Palestinians from the families of Awad, Za’aqeeq and Sleibi. In Hebron city, the soldiers invaded the home of Hisham Sharabati, and summoned him for interrogation in Etzion military base and security center. 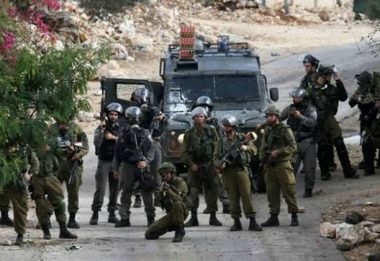 In addition, the army invaded and searched homes in Qabatia town, south of the northern West Bank city of Jenin, and abducted two Palestinians. The Israeli army said the soldiers, and security officers, confiscated thousands of Shekels in Beit Ummar and Qabatia, and located four weapons. It claimed that the money belonged to armed Palestinian factions, in the West Bank. Israeli soldiers abducted, Tuesday, a young Palestinian man from Ya’bad town, and also invaded Qabatia town, in the northern West Bank governorate of Jenin. The soldiers invaded Ya’bad town, west of Jenin, and abducted a young man, identified as Mohammad Qais Amarna, after invading his home and searching it. In addition, the soldiers invaded the Eastern Neighborhood of Qabatia town, south of Jenin, and conducted extensive military searches, in addition to invading many areas around Jenin city.